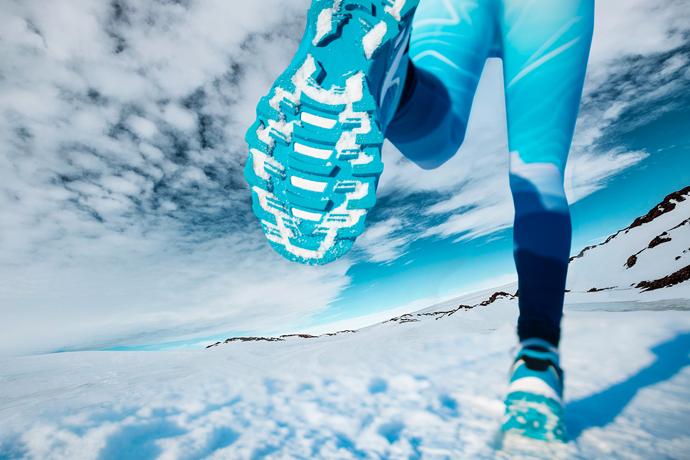 Would You Run a Marathon in Antarctica? Because Kripalu is located on the grounds of a former Jesuit missionary—replete with a garden labyrinth, dimly lit honey-mustard hallways and two different types of tuna fish salad at the buffet—the look took on a somewhat creepier mien, as if I were Leo in Shutter Island, or Jack Nicholson in The Shining, or Jack Nicholson in One Flew Over The Cuckoo’s Nest, or just Jack Nicholson in general. Like: we know something you don’t know, and we’re not gonna tell you. It doesn’t help that, though the guests here aren’t mental patients, each and every one reminds me of my mom on her way to or from a workout class (and my mom is almost always on her way to or from from a workout class). There’s a disconcertingly artificial joie de vivre, a feeling like this is all so good for me but I’m also addicted to it and if I don’t get it, well, I might just go berserk. Our first hiking guide doesn’t offer much by way of explanation, but we do learn that, no, forest bathing does not involve actual bathing. She simply tries to keep a straight face while explaining, offhand, that one forest bathing technique involves placing your hands on a tree’s trunk and asking for its consent before rubbing it for its healing oils. Needless to say, when I try it later on an unsuspecting pine, everyone—the tree, me, some unsuspecting girl in my proximity—left the situation disappointed and a little ashamed. It’s not until I get past the second wince, this time from Micah, the Director of Kripalu Schools, that I finally learn something about it. Micah’s cool, down-to-earth, a zen Michael Rappaport, if you will, and I get the impression he’s not a huge proponent of the phrase “forest bathing.” It’s like I’ve asked Kid Rock about caviar. It feels hoity-toity, is the sense I get, and I even apologize for saying it. What it comes down to is this: Forest bathing isn’t some high-concept thing. It’s literally just taking a walk in the forest. Rather than a hike, which implies using the forest as your playground, forest bathing encourages a slow, mindful pace. Micah said it should “Awaken your senses.” He cited studies that have shown the stress-relieving properties of such walks, including one that found inhaling phyntocides (tree-derived compounds) reduced stress hormones and enhanced the activity of white-blood cells. At the edge of the trail, he invited us to take a deep breath, be mindful and enter the forest. We walked slow. I looked at stuff. Leaves looked cool. The sound of rustling leaves was also cool. I looked up and thought of blankets with holes in ‘em, because, well, forest bathing, bro. We got to a brook and Micah invited us to find a place that called out to us. A mossy rock called my name, and unlike with the pine tree, the feeling was mutual. We sat for a while. I got moss on my tushie, but, whatever. Micah made a bird sound and we gathered 'round and had what Micah called a community council. We each took turns holding a pretty big rock Micah found speaking succinctly, and from the heart, about what we felt out there. I said something about how it reminded me of walking in the ravine as a kid, just exploring to explore, and how my foot had once broken through thin ice. It’s trite, but forest bathing does make you feel like a kid again. Or, talking to Micah, more like how being a kid should feel, if kids these days weren’t so harnessed to their screens. When his turn came in the community council, he’d talked sweetly about taking his kids into nature, how pleased he was to get them out there. Much of our conversation around forest bathing took this turn towards the younger generation—how do we get them outside? Who will be our future environmentalists if no one cares about nature? And think about all we learn from observing nature—the passing of time, being part of something larger than ourselves, understanding, in an elemental way, the nature of change. I’m not an education policy junkie, but I’d be hard-pressed to imagine any kid being super pumped about something called forest bathing. Rather, it’s a trendy-sounding marketing term aimed at an audience of the wealthiest of those kids’ parents who are willing to fork over their hard-earned cash to do things we could just as well do on our own. There's an inherent dissonance in that—in the way we talk about something and the way we "talk" about something. To be fair, Kripalu's responsibility isn’t to each and every child of America, and if you get the chance to go forest bathing with Micah, you absolutely should (he’s the man). But that doesn’t mean it’s not important to consider the ways in which our marketing rhetoric (“forest bathing”, after all, was coined by the Japanese Forest Agency in the ‘80s with the express purpose of promotion) can seep into a culture, isolating—in the context of health, especially—the people who might need it most. What if say, kale, hadn’t been taken up as the domain of Brooklyn-ites and fancy smoothie joints? Might it just be called a better form of lettuce? How might marketing rhetoric make something elitist, even when it’s not? This is all to say: of course, there are numerous structural issues underlying the health disparities by class in America, but what’s also worth mentioning is that some of this stems from our language. Like the language of Wall Street or even the language of political correctness, if you’re not in the know, or can’t afford to know, you can end up left out. Something as simple as walking in the woods can become the exclusive terrain of the wealthy. When it came time for my girlfriend to hold that pretty big rock and speak her truth in the community council, she said she’d meditated for a few minutes, then opened her eyes to see a small frog lapping around in the brook. She laughed, and a confused look came over her face. She said that a brochure she’d read on forest bathing said you’d notice the way the light shone through the trees, and a frog scurrying through the woods. But when she stared at the frog, she said, trying to commune with it, she kept losing it, to the point where she wasn’t even sure it’d ever been there in the first place. This story was originally published on October 4th, 2017. Joe likes fiction books, poetry books and other books, too. Plus just about anything on Bravo. 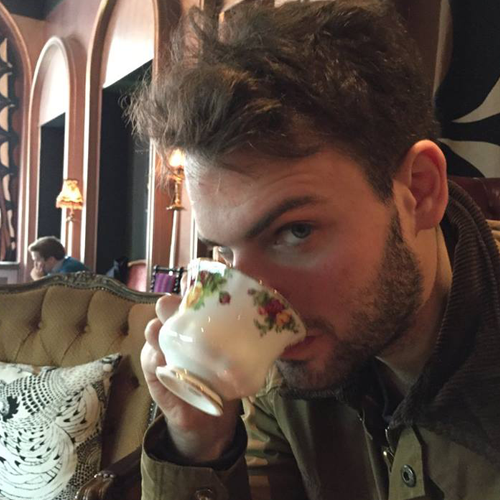 He's currently pursuing his MFA in Creative Writing at UMass-Amherst and failing to explain to people what an MFA in Creative Writing is.